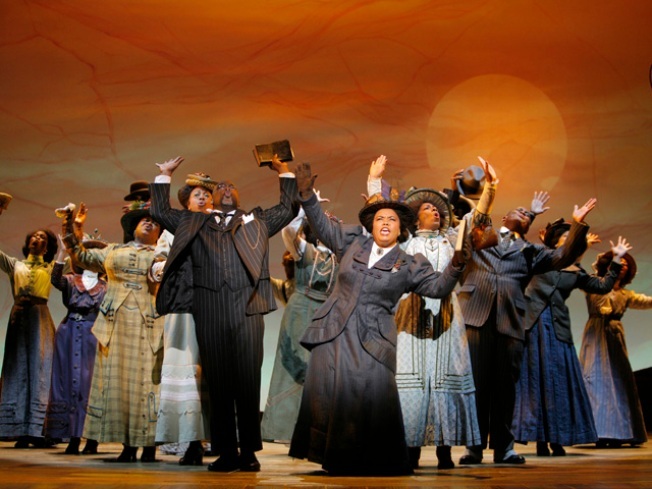 See the drama unfold at the Adrienne Arsht Center, courtesy of Oprah herself. COLOR US HAPPY: A musical fit for Oprah herself (we know so, since she's producing it) is coming to the Adrienne Arsht Center. "The Color Purple" is a Tony Award-winning tale of some good ol' family drama, with a newfound sense of self-confidence and personal triumph to boot. 8 P.M.
FABULOUS TWO-FOR: We all love those "two-for-one" deals, and now it's shedding its grace on thy haircuts. Van Michael Salon is 'treating" this Halloween with a Haircut Happy Hour. Just book the same time and date (until November 1) with a friend and let the Van Michael experts do what they do best: make you look fabulous! CHAMPAGNE AND CAVIAR: We would never advocate drinking and shopping (so that's how those Jimmy Choos ended up in our closet), but we're all for having our cocktails and cocktail dresses in one place. So, get your retail fix at The Webster boutique, then head to the main floor's Caviar Kaspia, where, Tuesday through Saturday they'll be serving up $8 cocktails and apps for $10 and under. 4-7 P.M.